Poker is perhaps one of the most misunderstood games especially in India and some people still think that the poker is a game of luck. More surprisingly, even some people who themselves are players have developed some misconceptions, which are either based on misinformation or superstition. Here, we shed light on 7 common myths surrounding Texas Hold’em poker in India and elsewhere. Well, this is not true. Poker is a game of extreme skill that one has to develop with experience. Sure, one has to learn the game and develop the art of minimizing losses and maximizing wins in poker. 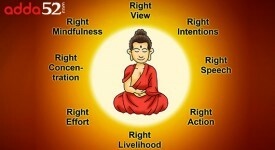 Although luck factor is there, but you cannot win consistently with luck. In fact, your winnings in this game depend on your overall skills and strategies you utilize to get an upper hand at the poker table. Again, this is just a misconception that many of us are having. As a poker player, you don’t need to master math, you just require some basic math in order to calculate the odds of hitting a straight, flush, full house or three of a kind and then ultimately decide whether to bet amounts or fold a hand. As a matter of fact, bluffing is an essential strategy for a poker player. Everyone can win with a great hand, but winning with an average hand is what makes you a genius player. Remember, bluffing is an art which most players don’t know about. The timing and situation of a bluff is what makes the real difference. To improve yourself at bluffing, consult veteran players and learn to master the art of bluffing in poker. As many players may assume, playing online poker is not illegal. It is quite safe and secure to play poker for real money in India. 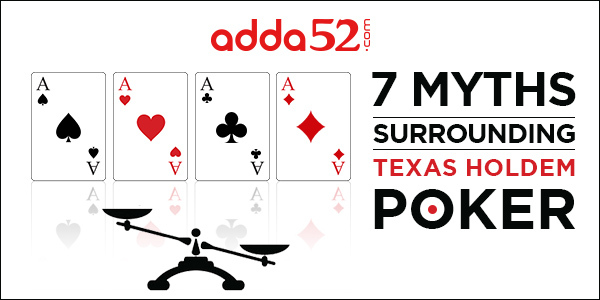 In fact, there are many legitimate poker websites like Adda52.com where playing poker is safe as well as legal. Such websites offer amazing cash games and tournaments, providing Indian poker players opportunities to play legally and win the real money in online poker. One most common myth worth mentioning is that there is no way to consistently win in the game of poker. Any poker player with good experience knows that this is not true because one always wins poker thorough a proper strategy, which clearly means if you apply a proper strategy, your winning chances are higher than those failing to use properly-planned strategies to win in the online poker. Well, men dominate the poker scene both in India as well as internationally, but then there are many women poker players who hold the ability to beat men in poker. Some ladies who are really doing well in poker may include Nikita Luther, Muskan Sethi, Vanessa Selbsts, Annie Duke and Jennifer Harman to name a few. All these women are enjoying a great success at major poker tournaments. Texas Hold’em poker does require stamina, energy and maybe this is the reason why some of us consider it a game for young and energetic people. However, it is no longer the case, as the game has evolved in the recent years and is attracting both young as well as old people. The Seniors Event at the World Series of Poker indicate that the older men are very good at poker and can play for hours. There are many old-aged players taking part in WPT, WSOP, APT, DPT and other big events, which shows the game is not limited to young people, rather it is for everyone- men, women and old ones.